The last article in the ‘Analyse A Real PPC Campaign’ looked at Thomas Cook’s campaign which was based around getting the web user to buy a summer holiday from the warm colours used on the landing page. For all those that are F1 fans, you would have just watched the Hungarian Grand Prix which was an exciting race to say the least. In essence of this good race, we are going to analyse a PPC campaign based around Formula One racing. 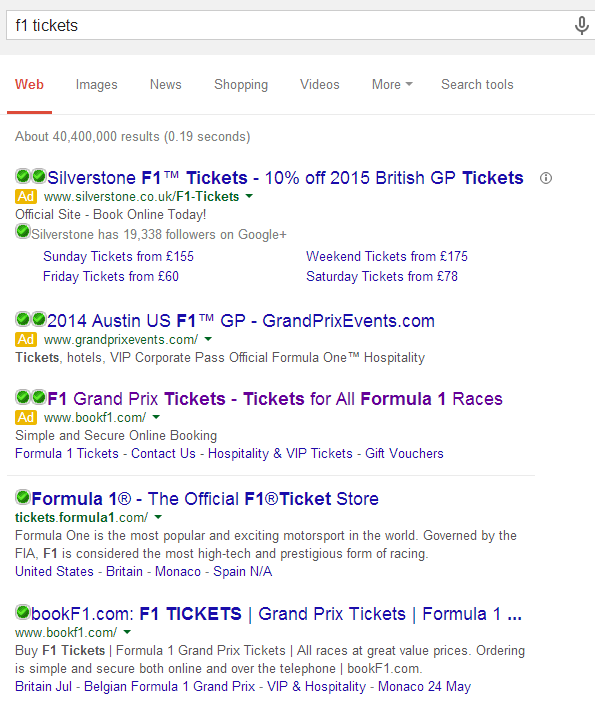 Straight away, you can see there is a lot of competition for the search phrase ‘f1 tickets’. 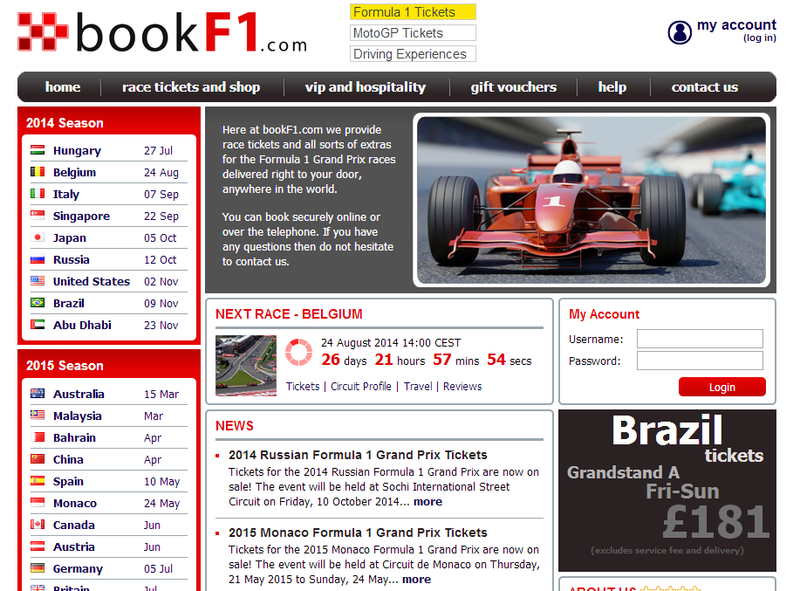 The campaign we are going to look at in this article is BookF1.com’s campaign (third advert down). The first thing I notice is the reason for doing the advert in the first place. They are ranked second organically which is great for such a crucial search phrase. However, it all means nothing as there are two PPC campaigns that will be stealing traffic from then plus one website organically too. Therefore, to try and recuperate from this lost, BookF1 had to create a campaign which, from being ranked lowest in paid results, suggests they have a low CPC. It includes many keywords for F1 in the title such as ‘Grand Prix’ and ‘Formula One Races’. The description is short and sweet which emphasises what is being said that it is simple and secure when online booking. They have used an ad extension being the site links. This allows the web user to go to other landing pages on BookF1’s website. But, they have not used a call to action anywhere in their campaign. They have no review extension or ratings which doesn’t support the description which based around confidence. The landing page BookF1 has used for their campaign is in fact their homepage too. This brings up the question why they chose to do a PPC campaign in the first place – they have only lifted themselves above one competitor out of 3 in the overall search results. Surely if you would increase the CPC so you can get top spot on the overall search results? They have a navigation menu at the top of the page to help web users find exactly what they want within F1. The left hand sidebar features flags and countries F1 will be in for which link to ticket menus with pricing. At getting web users to buy tickets, the page is successful. However, I do feel the centre of the page is being wasted a bit. PPC traffic came to the page to buy tickets, not look at a count down to the next race or news within F1. Therefore, they should change their landing page to one that is exactly like their homepage with the only difference being that the elements in the middle should change to something more optimised for the PPC traffic. What Makes a Good and Employable Freelancer?